This Material is knitted with a rib effect pattern on the surface. Reverse is smooth. 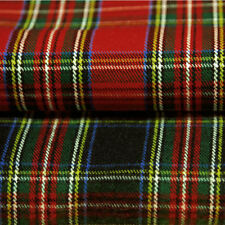 On Trend fabrics specialise in fashion fabrics and trims for dressmaking. Navy blue with white grid pattern on alternating ribs. 50% Cotton 50% Linen. Natural colour. 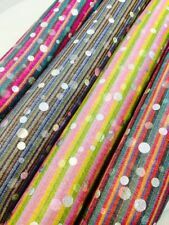 Upholstery Heavy Weight Plain Cotton-Linen Blend Quality Fabric. The Fabric Is Nice And heavy weight. SKU : AC79. Type : Soft textured feel with a slight stretch. Composition :100% Wool - Dry Clean Only. Width : 150 cm. White Textured Polyester Twill Fabric White Textured Polyester Twill is an excellent quality fabric with a good weight, popular for its durable and long-lasting qualities. 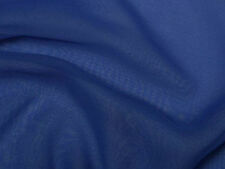 Plain Textured Polyester/Rayon Bengaline Suiting. 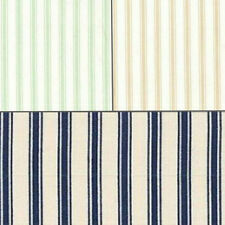 Bengaline is a woven strong durable fabric with a one way stretch. Peachy Cream. · Ø ARTS AND CRAFTS. · You will get one continuous piece as material is cut directly from the roll. Black Textured Polyester Twill Fabric Black Textured Polyester Twill is an excellent quality fabric with a good weight, popular for its durable and long-lasting qualities. Crafts, cushions, light interior uses. Polyester/Elastane giving good 4 way stretch. 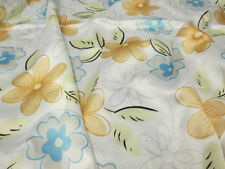 Width of fabric 150 cm. About Bumble Bee Fabrics. I hope you enjoy browsing through my range of fabrics. Cream Textured Polyester Twill Fabric Cream Textured Polyester Twill is an excellent quality fabric with a good weight, popular for its durable and long-lasting qualities. Navy Textured Polyester Twill Fabric Navy Textured Polyester Twill is an excellent quality fabric with a good weight, popular for its durable and long-lasting qualities. Yellow Textured Polyester Twill Fabric Yellow Textured Polyester Twill is an excellent quality fabric with a good weight, popular for its durable and long-lasting qualities. Crafts, cushions, light interior uses. Polyester/Elastane giving good 4 way stretch. Width of fabric 150 cm. Royal Textured Polyester Twill Fabric Royal Textured Polyester Twill is an excellent quality fabric with a good weight, popular for its durable and long-lasting qualities. Maroon Textured Polyester Twill Fabric Maroon Textured Polyester Twill is an excellent quality fabric with a good weight, popular for its durable and long-lasting qualities. Turquoise Textured Polyester Twill Fabric Turquoise Textured Polyester Twill is an excellent quality fabric with a good weight, popular for its durable and long-lasting qualities. Red Textured Polyester Twill Fabric Red Textured Polyester Twill is an excellent quality fabric with a good weight, popular for its durable and long-lasting qualities. Bottle Textured Polyester Twill Fabric Bottle Textured Polyester Twill is an excellent quality fabric with a good weight, popular for its durable and long-lasting qualities. Brown Textured Polyester Twill Fabric Brown Textured Polyester Twill is an excellent quality fabric with a good weight, popular for its durable and long-lasting qualities. Purple Textured Polyester Twill Fabric Purple Textured Polyester Twill is an excellent quality fabric with a good weight, popular for its durable and long-lasting qualities. School Grey Marl Panama Textured Polyester Fabric School Grey Marl Panama Textured Polyester Fabric is an excellent quality hard wearing fabric with a good weight, popular for its durable and long-lasting qualities. Being eco friendly and 100% natural the demand for products made out of rayon is on the rise. Print: Beige Floral Print. Being eco friendly and 100% natural the demand for products made out of rayon is on the rise. Color: Beige. Print: Green Floral Print.